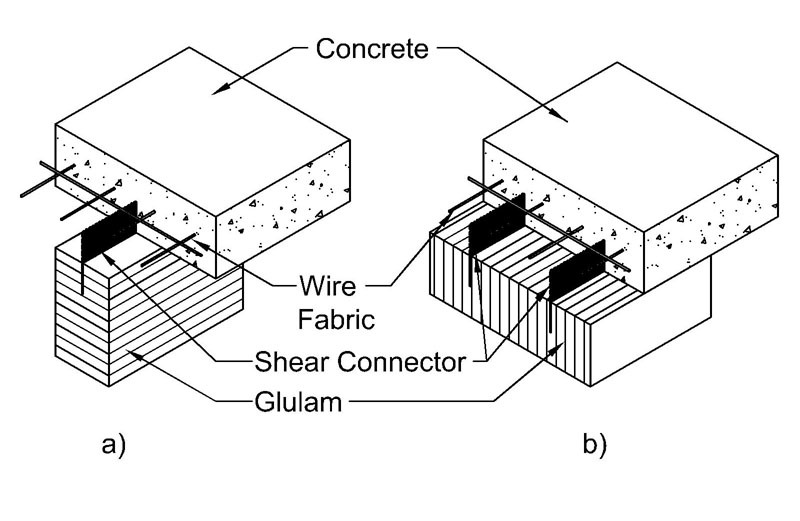 Wood-concrete composites are floor and deck systems which comprise of a concrete slab integrally connected to wooden beams or a laminated wooden slab beneath by means of a shear connector. Use of a shear connector can significantly improve a deck’s strength and stiffness (up to approximately 2 times and 4 times, respectively) when compared to that of a non-connected structure – resulting in a highly efficient use of materials. Sound and vibration performance as well as fire resistance are also improved when compared to timber floors. 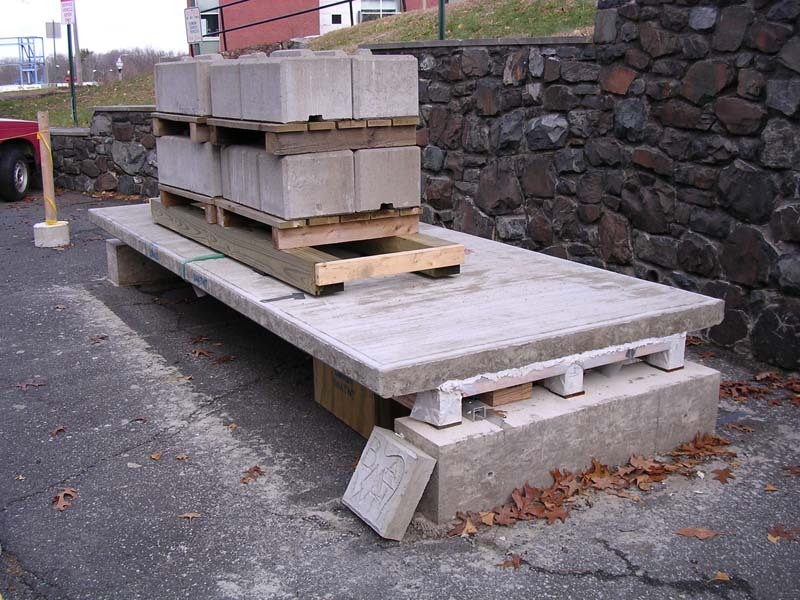 The added concrete slab can also often provide added lateral rigidity to a building. This system is well suited for restauration as well as new construction. The primary benefit of integrally connecting the concrete to the wood is composite action. The wood and the concrete act in unison and thereby achieve overall stiffness and strength that is superior to that of either of the components acting alone. 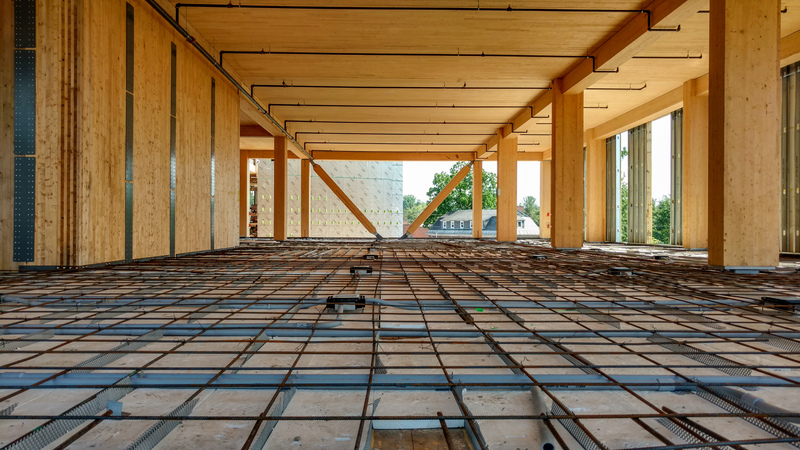 As a result of the composite action, the concrete slab experiences predominantly compression stresses and the wood experiences predominantly tension stresses, making the best use of each material’s structural attributes. The end result is exceptional strength and stiffness as well as reduced weight when compared to an equivalent all-concrete section. Cost advantages of this system are found in labor savings by using the timber as permanent formwork, by using less material for foundations as a result of lower floor dead loads (wood being lighter than concrete or steel), and, in the case of restoration, combining structural functions (improved floor system and added rigid diaphragm) as well as quicker turn-around times in comparison to floor replacement. BCT has studied many different aspects of wood-concrete composite systems. We have tested shear strength and stiffness of various shear fasteners as well as overall performance of a wood-concrete slab – both for indoors as well as outdoors use. We have also developed expertise in analyzing and designing these systems. See the list of publications below for further details. 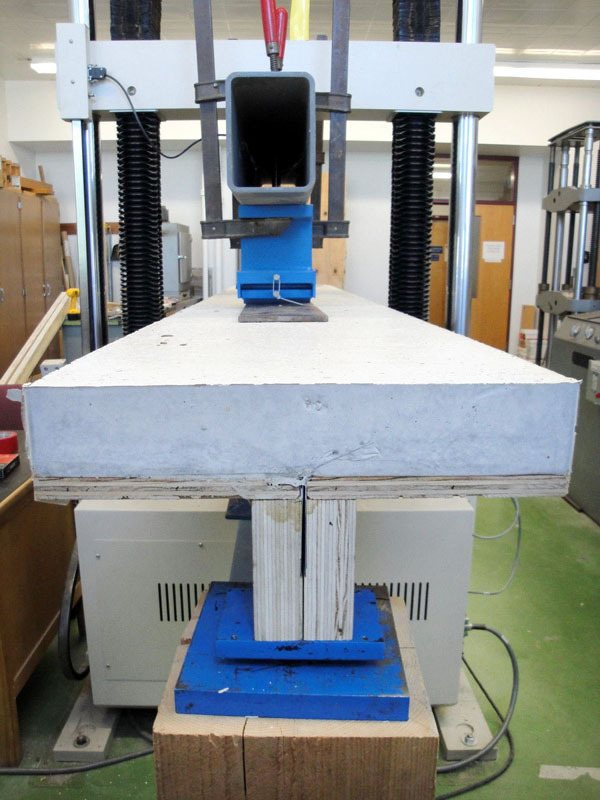 This technology was used in the construction of the Olver Design Building at UMass Amherst where approximately 50,000 sf of floor area employ a system BCT tested and published on in the past. See the top image on this page for a picture of this installation.